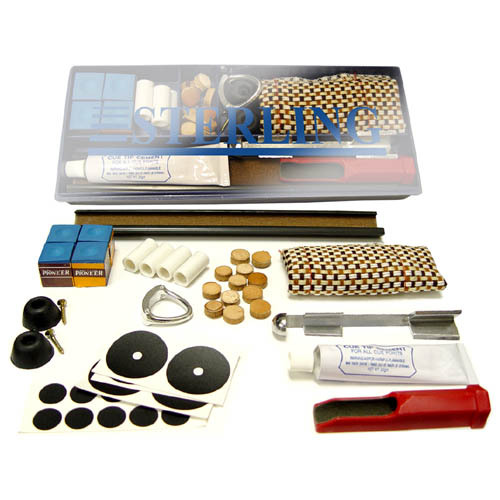 The Sterling Home Repair Kit contains cement, 12 leather cue tips, an aluminum tip clamp, 4 ferrules, cue shaft slicker, cue tip scuffer and sander, 4 pieces of chalk, 6 large spots, 10 small spots, and 2 replacement cue bumpers! It is very handy to have around. More items than in the Tweeten kit for a lower price.